Welcome to Toni’s room. I wanted to create a space where I could be free to share my journey in this life, and share it with those who would appreciate honest soul-searching. This room is comfortable, full of light and hope and joy and pain and anger as well as laughter. Feel free to stop in whenever you’d like or even stay a while. I hope you leave feeling filled with more love than when you came. Tonita Austin also known as “Toni Love” is a gifted poet and writer born and raised in West Philadelphia. Her love affair with words began in third grade and has been infused with moments inspired by the works of phenomenal artists. While attending Columbia University, Tonita was a student of Amiri Baraka and performed in Ntozake Shange’s “For Colored Girls” as the Lady in Orange. Her work was often published in Columbia’s literary magazine and was highly influenced by both artists. Toni Love has been blessed to have shared the stage with her idols; world-renowned Poet Laureate Sonia Sanchez and Grammy-Nominated Ursula Rucker as a spotlight artist. 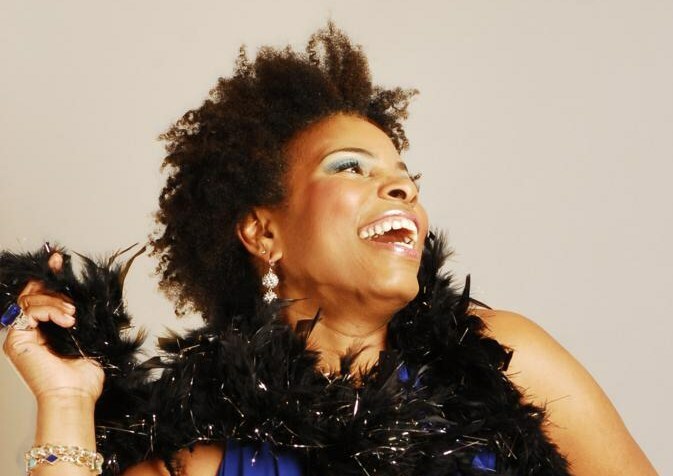 Toni Love has performed in several of Suite Franchon’s “Peace Love and Poetry” shows at the World Café Live and Warm Daddy’s in Philadelphia as well as World Café Live in Delaware. She has gained recognition as an inspired artist and dedicated supporter of the arts through her performances at The Harvest, The Collective, and other notable venues. Ms. Love’s soul-stirring poetry captivates audiences as it explores the spectrum of human emotions as we travel through life. She transforms the mundane to the meaningful in a lyrical labyrinth where she serves as poetic guide. Ms. Love is a published writer with essays featured in The Black Body, a 2010 literary anthology edited by Meri Danquah and most recently in the 2014/2015 Winter edition of iMatter online magazine. She is a dynamic blogger, social media contributor, advocate, and speaker. Ms. Love’s life story is a tapestry that celebrates the richness of life created by interwoven strands of perseverance, creativity, passion, intellect, and purpose. She is currently working on her first poetry CD and book which will be available in the Summer of 2015. Thank you for the compliment! I hope you continue to follow! Have a great day! I simply want to say I am very new to blogging and site-building and certainly savored your page. More than likely I’m likely to bookmark your blog post . You definitely have superb stories. Appreciate it for sharing with us your website page. Thank you so much Donella for the sweet comment. I hope you stop by again soon! Peace and Blessings! I simply want to mention I’m newbie to weblog and seriously enjoyed your web site. More than likely I’m want to bookmark your blog . You absolutely come with terrific posts. Many thanks for sharing with us your blog. Thank you. I’m happy you stopped by and i appreciate you taking the time to comment. Come back again soon! Thank your for taking the time to read and comment. Please subscribe and/or follow and stop by again soon! Peace to you and your case. We at the B.P. ( The Balance Project) have viewed your site thoroughly. We will love to network with you and offer a further opportunity to your grouping. Please visit our site, http://www.thebalanceproject.info to see if you would be interested in networking with our movement. Peace Khaaliq, thank you for taking the time to stop through and read. I would love to connect. Look forward to speaking to you!